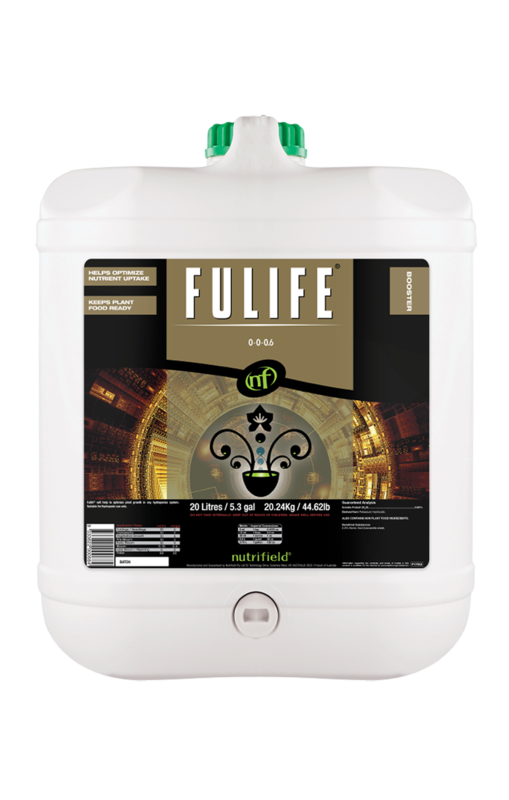 Fulife is a certified organic-input nutrient supplement containing the biostimulant, fulvic acid. Fulvic acid is an organic acid found in soils, which promotes macronutrient uptake. It stimulates root uptake mechanisms and binds to macronutrients to form soluble, plant-bioavailable complexes – a process referred to as ‘chelation’. The increased uptake of macronutrients supports enhanced root growth and branching, which results in increases to both vegetative growth and flower yield. 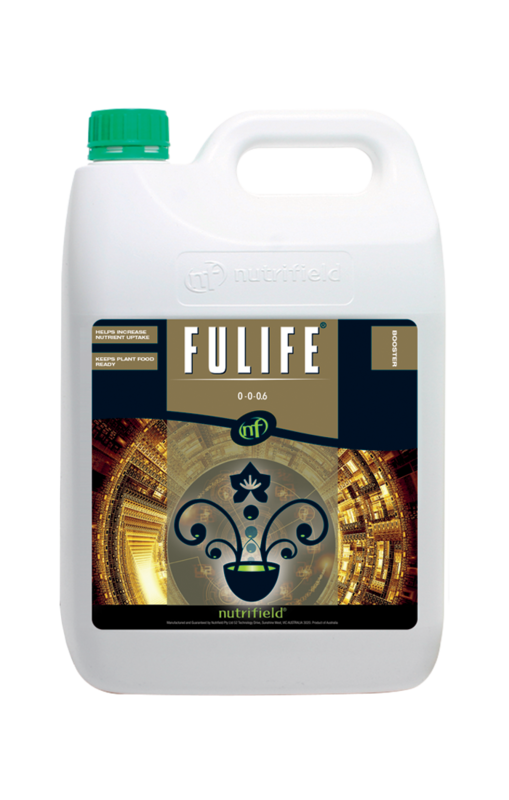 Nutrifield Fulife ensures macronutrients are present in a form which is readily available to the plant. The chelated macronutrients are easily utilised by the plant, facilitating increased macronutrient uptake and preventing nutrient lockout. To support our customers who follow organic farming practices, Nutrifield has achieved recognition from NASAA (National Association for Sustainable Agriculture, Australia) for manufacture of Fulife as a certified organic input. This ensures that customers producing certified organic goods can use Fulife in feeding regimes without compromising their certified organic status.